Dr. Jaihyun Park is currently an associate professor in department of psychology at Baruch College (CUNY) in New York City. He began to study psychology from college and received his B.A. at Seoul National University in Seoul, Korea. He came to the United States to further study social psychology and received his M.S. and Ph.D. at Yale University. During his graduate study, Dr. Park worked with a group of world renowned scholars including Drs. Robert P. Abelson, Mahzarin R. Banaji, and Peter Salovey. 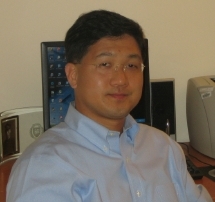 Dr. Park has had research interests in social cognition, psychology and law, and cultural psychology. In particular, his research has focused on stereotyping and prejudice (with a focus on their implicit operations), jury decision making, and biculturalism.